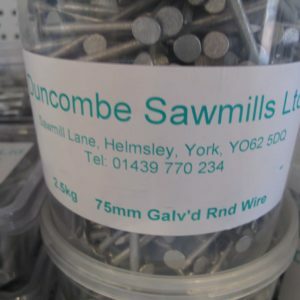 Box of 100mm x 4.00 galvanised round wire nails; available in various sizes. 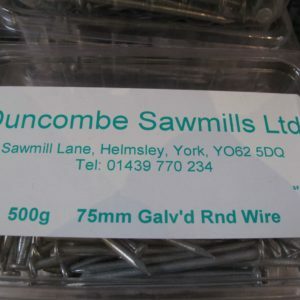 Box of 50mm x 2.65 galvanised round wire nails; available in various sizes. 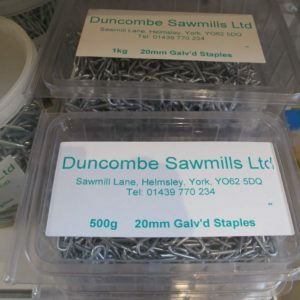 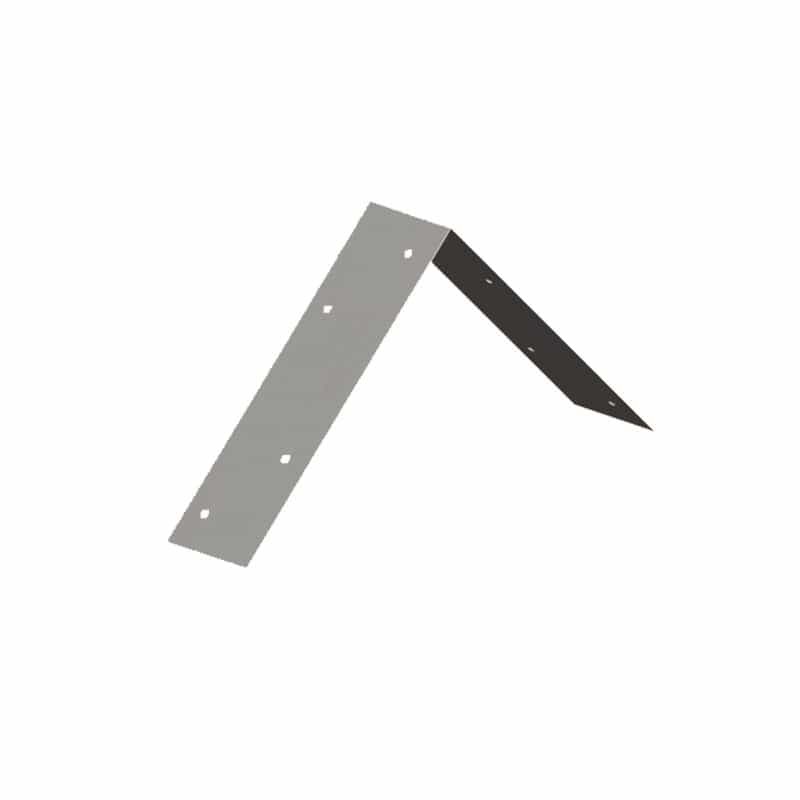 Used for stock fencing to attach wire to our fence posts or rails, we sell our staples in 2 sizes. 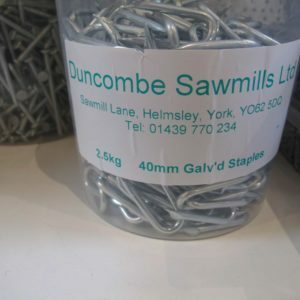 Used for stock fencing to attach wire to our fence posts or rails, we sell our staples in different sizes. 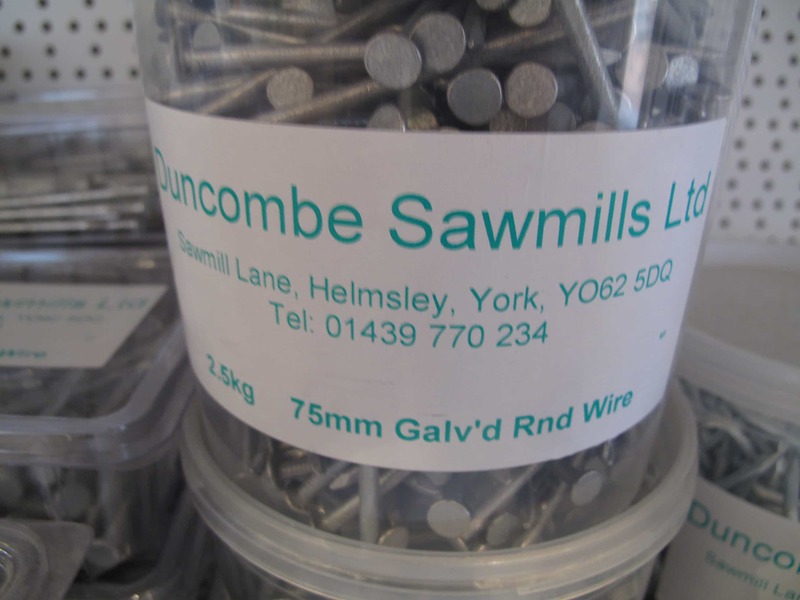 Box of 75mm x 3.75 galvanised round wire nails; available in various sizes.